Every UK citizen owes more than £3,400 to PFI companies – this might be the solution we desperately need. Public Finance Initiative (PFI) deals – that have left Britain in a crippling £222bn of debt – are notoriously difficult and expensive to cancel, but Labour today put forward a solution: introduce a tax on the PFI companies’ profits. 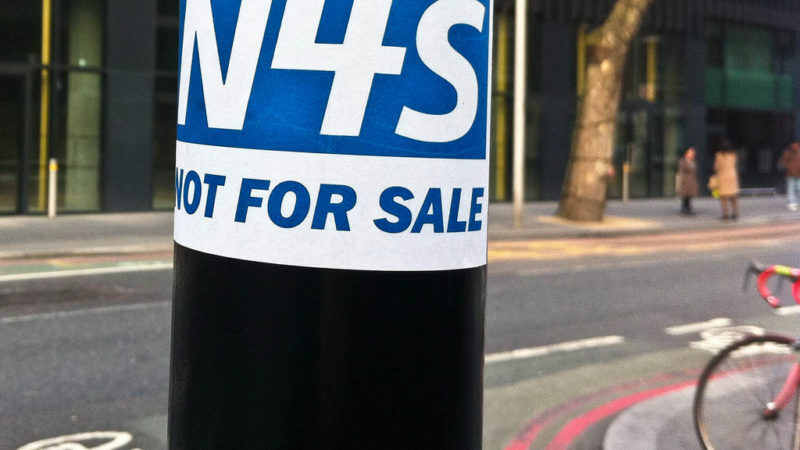 “Buy now, pay later” PFI schemes to fund new hospitals, schools and other public buildings, first introduced by the Major government and expanded by Tony Blair, will cost the UK £222bn over the lifetime of the deals. To look at it another way, every UK citizen owes more than £3,400 in PFI debt – and this drain on the Treasury will go on for 35 years. Because of extortionate interest payments, PFI funded projects can cost up to 40 per cent more than schemes funded directly from the Treasury, the National Audit Office recently found. And this for public buildings that in many cases have been shoddily and dangerously built – an investigation last year found that up to 40 hospitals built by PFI had serious fire and safety risks due to bad construction. The problem is that PFI deals are extremely expensive to cancel – the government having to pay off the private contractor for the building and maintenance work up front. But there may be another solution. Actions in Westminster this week could pave the way for this new PFI tax. On Wednesday, MPs will vote on two amendments to the Finance Bill, tabled by Labour’s Stella Creasy, which could introduce such a levy. Seeing as how £200billion or thereabouts is still owed to PFIs by many of our Hospital trusts..and the NHS…wouldn’t it be a good idea to make the Labour Party cough up towards them…seeing as how it was Gordon Brown and the Labour Party that introduced PFIs into the the NHS in the first place? There is 1,500 bn of civil service pension debts. The label is irrelevant, the debts you have run up are crippling. Why not introduce a tax on MP’s pensions? Take the lot for their incompetence for signing us up, with not one iota of consent. Now the state financial rapes the tax payer for their errors. Add up all the debts, and its 12,500 bn. That’s £430,000 per tax payer. If the tax payer doesn’t or can’t pay, pensions are destitute.